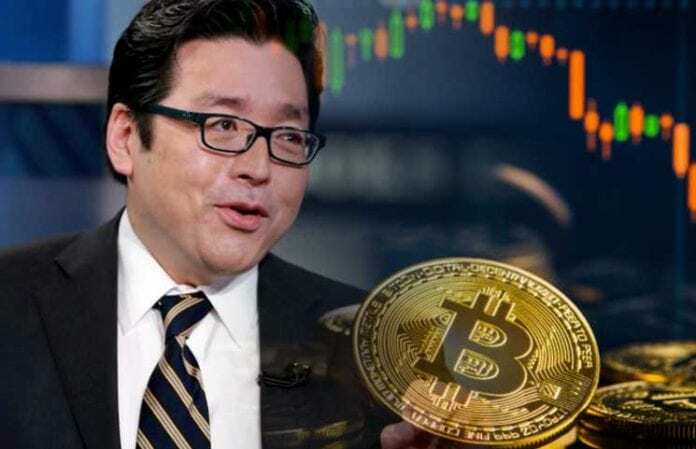 Tom Lee, head of research at Fundstrat, was popular for having what others may have seen as bold predictions regarding Bitcoin. Last year, for instance, Lee predicted that BTC would hit $25k by the end of the year, but then, seeing the bearish market which was not planning to change, he changed his prediction and said that a lower forecast is appropriate: $15k. As you all know, an apocalyptic fall of cryptos left the markets down and BTC was priced at only $3,750 at the end of 2018. Now, Lee says that he maintains his bullish prediction of $25k for the price tag of BTC. During a brand new interview with Fox Business, Lee said that despite the fact that he still believes this, he doesn’t know when such a thing might happen. Tom Lee is not the only voice in the cryptosphere with such positive thoughts on Bitcoin. Other than this, there are also more positive predictions regarding the price of Bitcoin in the financial field coming from NASDAQ and more. One of them comes from Gemini founder, crypto mogul Tyler Winklevoss who said that BTC is walking the right path to surpass the market cap of gold which is currently around $7 trillion. One interesting thing that might trigger mass adoption is coming from an unexpected company: Samsung. The tech giant is preparing the reveal of its next flagship that everyone’s waiting with high enthusiasm: the Galaxy S10. The phone may include the Samsung Blockchain KeyStore that seems to be a blockchain wallet, according to the latest leaks on the matter. This can reportedly act as a secure and convenient place to hold your digital assets, and it can enable users to own total control over their private keys and cryptos. But if Samsung’s next flagship does come with a mobile wallet implemented, considering the success that Samsung has with its smartphones, this would be a massive step towards mass adoption and, who knows, maybe BTC’s price would see new heights again. Humble opinion: if Samsung integrates crypto to Galaxy S10, I think it may have a bigger impact than ETF and Bakkt combined. Partially because no one really knows what kind of exposure ETF / Bakkt will bring meanwhile millions of people use Samsung phones daily. This move is expected to have a more important impact on the markets compared to Bakkt and Bitcoin ETFs.